The best parts of Batman Eternal thus far have little to do with its central mystery. This is not to say that the mystery isn't engaging but to note that the detail work around the plot is of greater interest. The world of Gotham in the New 52 universe is still largely unexplored and this series has done a good job of filling in the gaps. This issue focuses upon three characters we have not seen in this series so far - Red Robin, Vicki Vale and Harper Row. 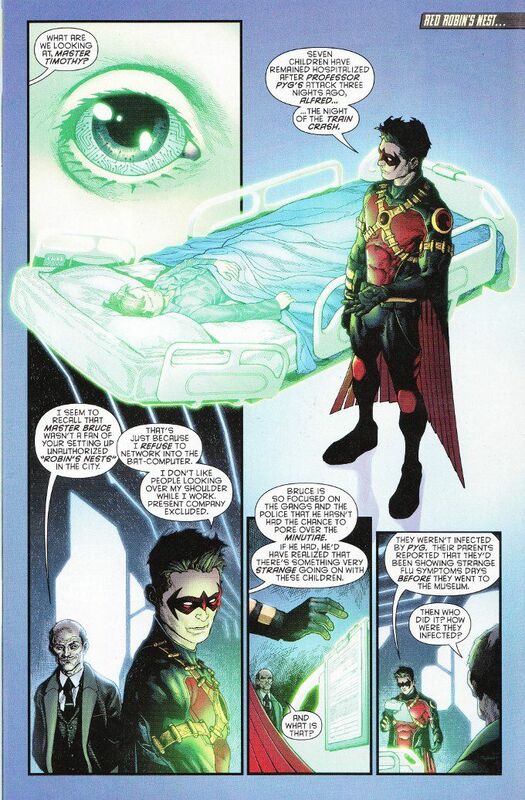 The issue shows those of us who haven't been keeping up on Teen Titans how the relationship between Tim Drake and Bruce Wayne is quite different in this new reality. 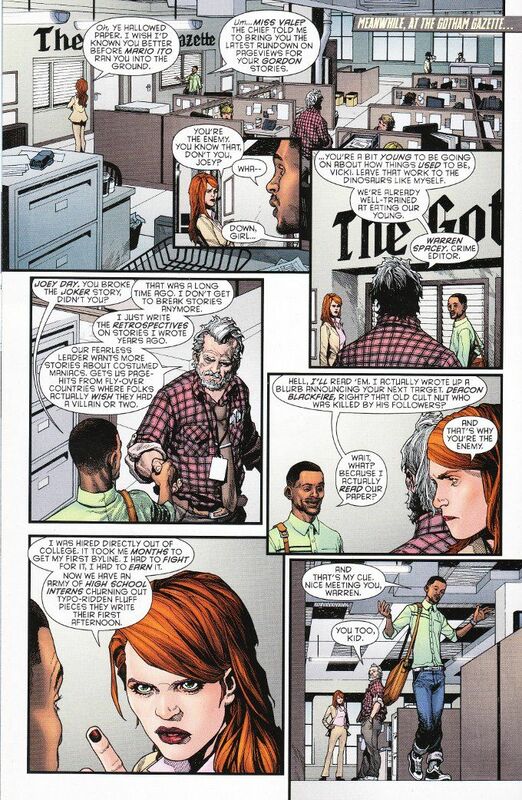 The interludes involving Vicki Vale give us our first glimpse as to how journalism functions in Gotham City. And Harper Row makes an appearance, showing that she has been personally touched by the mystery that Red Robin and Vicki Vale are both investigating and that she has begun training to take a more active role in helping Batman. The artwork this week - provided by artist Andy Clarke - proves less conflicted than the art in last week's issue. Clarke's style is consistent, though some of his proportions seem a bit off. Torsos become oddly elongated in some panels, while the limbs attached to them seem to be of normal size. Despite this incongruity, Clarke does a fine job of displaying intricate details without cluttering up the panels.